"We are extremely happy with the quality of the work, the process and the results -- job well done!" "We practically live out here all summer, we love it!" "Everyone at GroundsKeeper was very professional, communication was excellent and our patio turned out even better than we planned!" Providing a one-stop landscape solution for all of your outdoor needs. 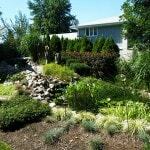 GroundsKeeper Landscape Services provides a one-stop landscape solution for all your outdoor needs. 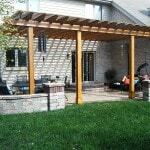 We provide high quality landscape solutions to residential and commercial customers. We are driven by customer service and consistently exceeding expectations.